I haven't been writing much over the last few years. A few blogs here and there, some sporadic journal pages, but nothing approaching the near-continuous outpouring of words that characterized most of my life before that point. I'm talking less, too. Sometimes this feels okay, as I wonder through my days in a kind of comfortable observer-silence, listening to others express their thoughts, opinions and beliefs with the loud confidence - or the soft, quiet insistence - that passion can bring. As I write this, I sit on a picnic table beside a stream, alone at a festival of thousands of people eagerly engaging with each other on issues of theology, spirituality, social justice, healing, faith, religion and politics. And then there's me. Moving quietly from workshop to workshop, finding time alone in between to journal a little, or just sit beside the river and listen to the water. Feelings of guilt arise now and then, usually couched in the language of "shoulds." I should be meeting people. I should engage. I should have something to say about this issue. I should have an opinion. I should know what I believe. I began exploring yoga last year, in a casual "test the waters" sort of way. In the process, I was introduced to the idea of four-part breath. As we practiced it in class, this meant breathing in for a count, holding for a count, exhaling for a count, holding the emptiness for a count, and then beginning the process over. I'm used to breathing. I've been aware of my breath for a long time, have even worked hard at breathing deeper and releasing longer than I would naturally, and of course I've held my breath since I was a kid playing at putting my face underwater in the bath. What I had never, ever done before was empty myself of every bit of breath I could, and then stay with the emptiness. I panicked. I gasped. I breathed in as if I had believed I would never breathe again, and completed several breath cycles of my own before catching back up with the class on exhale and trying again. Emptiness is scary. It aches in a way fullness does not, and rather than carrying a sense of too-muchness in need of release, it just feels endless. What if I never breathe again? What if my lungs just shut down; forget what to do? What if I can never write again? What if I never find something to say? What if I never really know what I believe again? I still don't really know the answers to these questions. I've taken in deeply, I've poured out everything I have, I've taken in more, I've felt full to bursting with wonder and beauty and faith and theology and I've released everything that I've learned into the world, and I've repeated and repeated and repeated this cycle. It's a two-part way of spiritual breathing. In and out and in and out. Faster and more and better. The problem with rapid in and out breathing? It can easily turn into hyperventilating and exhaustion. So here is my work: to take in when I'm ready to take in. To sit with the fullness when I am full; to give it the time to do its work. To give out when I feel ready, and to sit in the discomfort of being empty yet unable to take in more. To remember that all these parts are a part of the holiness of a presence that is closer to me than my own breath. To trust that each step will follow the other, in its time. 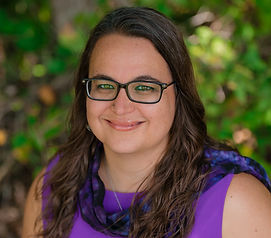 Tessi Muskrat Rickabaugh is a spiritual director, author, creator of sacred spaces and workshop presenter for SDI's 2019 conference Seeking Connections - Across Generations. She is a graduate of Shalem Institute’s spiritual guidance program, and a former SDI New Contemplative (2015). Tessi makes her home in Fulton, Missouri, where she provides spiritual direction in person and online, primarily serving post-evangelical young adults and members of the Deaf community. A Native woman of Cherokee and Irish descent, Tessi curates The Barefoot Journey, an online community of people who engage with stories as a way to foster peace and openness toward self and others and promote spiritual healing. She loves to sit in sacred circle with other women, facilitate group spiritual direction, and explore the wisdom offered by dreams. Tessi is currently a student at the University of Missouri, where she is majoring in Religious Studies and Women and Gender Studies. You are a very good writer. You conveyed your message perfectly. I can picture you sitting by the stream at the festival. Great job. Thank you so much! And thank you for reading.